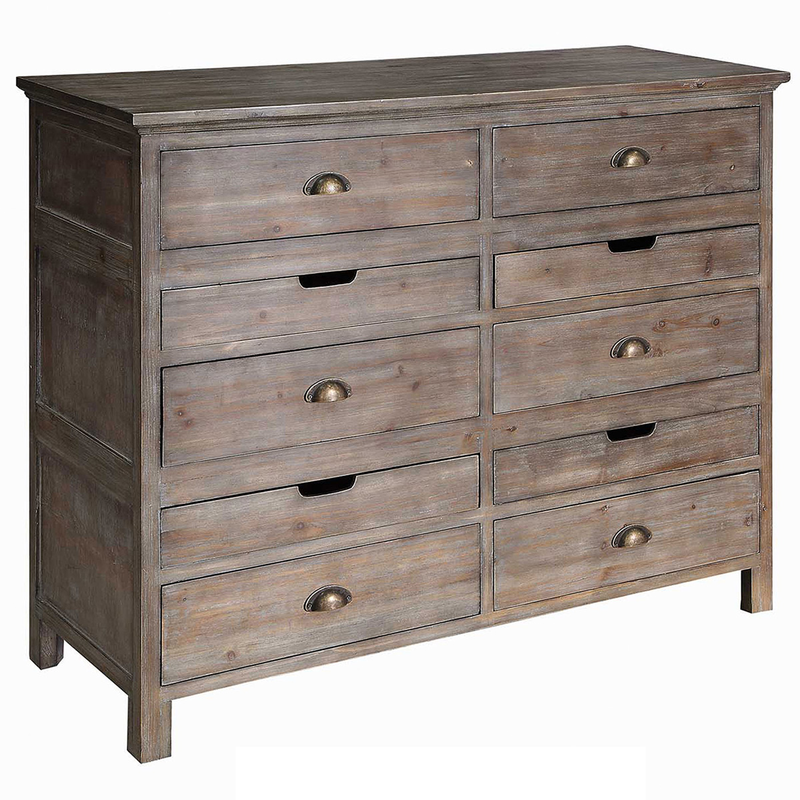 Perfect for your seaside bedroom, the Cumberland Rustic Wood 6 Drawer Chest with 4 Pull Out Trays is the perfect blend of style and craftsmanship with a traditional, yet unique design in a rustic finish. Ships from the manufacturer. Allow 1 to 2 weeks. Cannot express ship this beach style furniture. For many more options, we ask you to take the time to view our complete assortment of beach style cabinets at Bella Coastal Decor today.